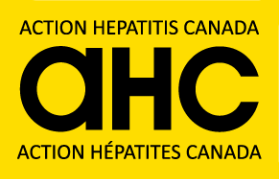 We recommend that if you prefer non-academic language and are not yet subscribers to this online magazine or the HepVoice blog about viral hepatitis, that you should consider it. Here are the links. Anyone interested in eliminating hepatitis C should read this article, “In the eyes of Indigenous people in Canada: exposing the underlying colonial etiology of hepatitis C and the imperative for trauma-informed care,” which provides an accessible pathway to approaching Indigenous health issues in culturally-safe, historic trauma-informed ways. High levels of hepatitis C virus (HCV) can be found in the rectal and nasal fluids of people with high hepatitis C viral loads even when blood is not present, Austrian researchers reported at the 2018 AASLD Liver Meeting. In an article published in the American Journal of Preventive Medicine, researchers recommend routine testing for all incarcerated individuals upon arrival. Results from a new study led by Boston Medical Center (BMC) found routine Hepatitis C testing identified a significant number of cases that would have been missed by targeted testing among a population of individuals in Washington State prisons.